ABA strengthens its relationship with bankers’ associations of Asia-Pacific by exchanging information and publications, and participating at each other’s training programs and research activities. ABA also incorporates policy recommendations from other bankers associations into ABA policy advocacy. 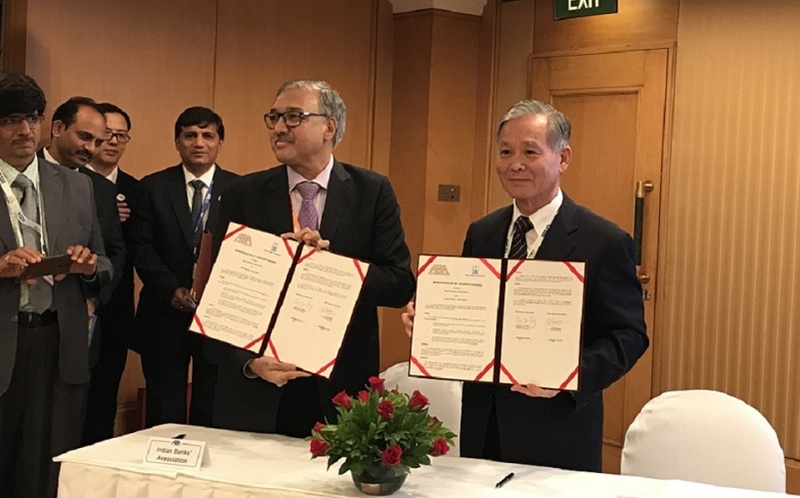 ABA has signed MOUs with bankers associations of India, Japan, Mongolia, Philippines, Russia, Sri Lanka, Thailand, Vietnam, and other recognized Asian banking institutions such as the Association of Development Financing Institution of Asia and the Pacific (ADFIAP). ABA also collaborates with other important regional organizations such as Asia-Pacific Economic Cooperation (APEC) forum through the APEC Business Advisory Council (ABAC) to promote banking policies. Closer working relationships are also constantly being developed with the Pacific Economic Cooperation Council (PECC), the Asian Development Bank, the World Bank, and the Bank for International Settlements. ABA also cooperates with other non-governmental organizations (NGOs) with banking experience in Asia, as well as with critical expertise such as ACRAA (Association of Credit Rating Agencies in Asia) and others. 2017 Mumbai - ABA Secretary Treasurer Amb. 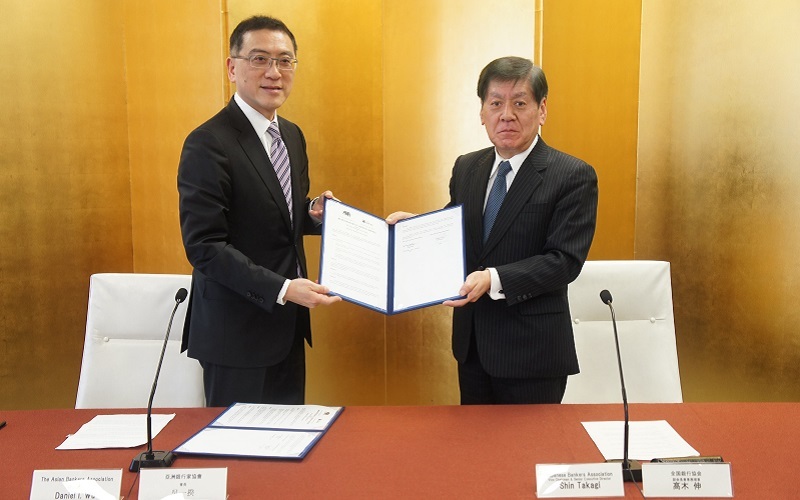 Victor Tseng signs MOU with Chief Executive of the Indian Bankers Association V. G. Kannan. 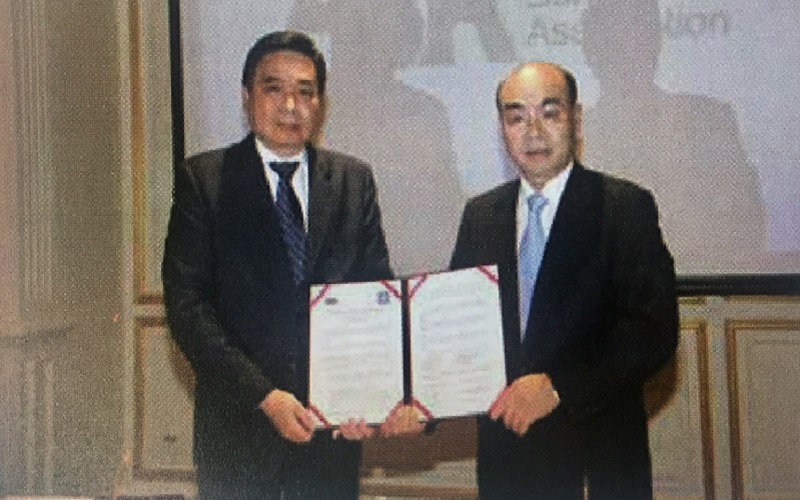 2016 Tokyo - ABA Chairman Daniel Wu and Japanese Bankers Association (JBA) Vice Chairman Mr. Shin Takagi hold the signed MOU between JBA and ABA. 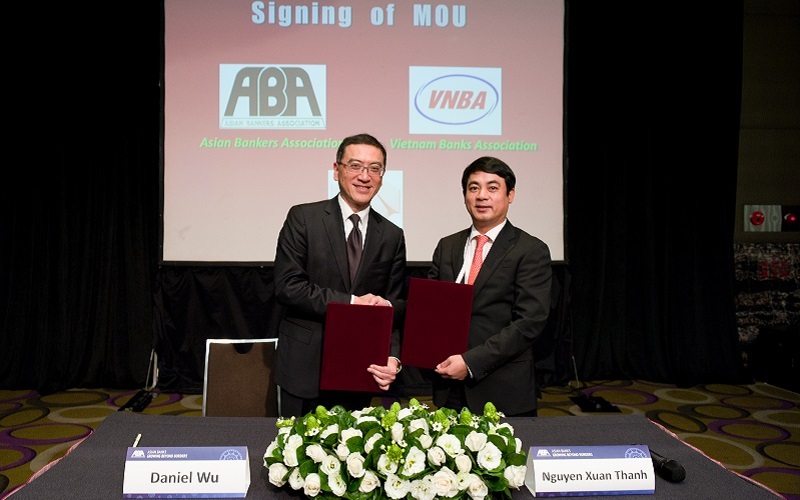 2015 Taipei - ABA Chairman Daniel Wu signs MOU with Vietnam Banks Association Chairman Nghiem Xuan Thanh. 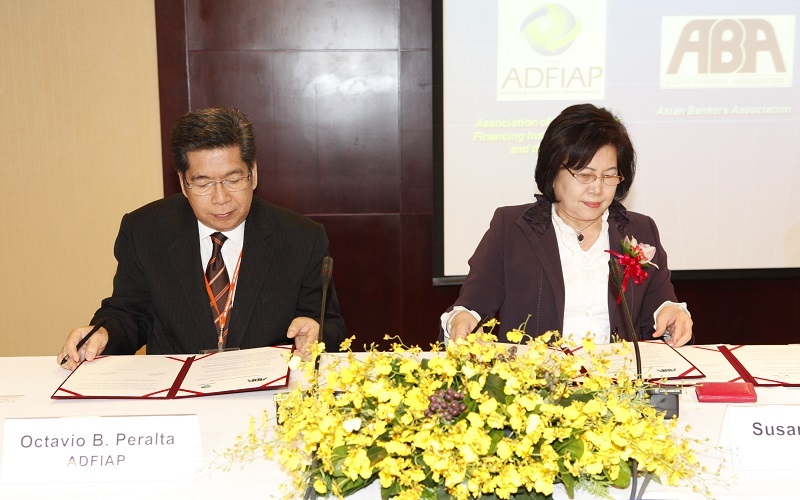 2010 Taipei - ABA Chairperson Susan Chang signs MOU with the Association of Development Financing Institutions of Asia and the Pacific (ADFIAP) Secretary General Octavio Peralta. 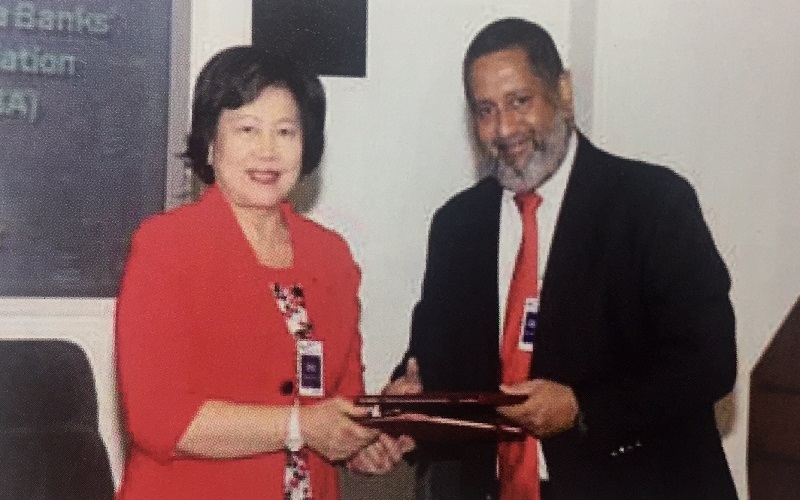 2009 Manila - ABA Chairperson Susan Chang signs MOU with Sri Lanka Bank's Association Chairman R. Theagarajah. 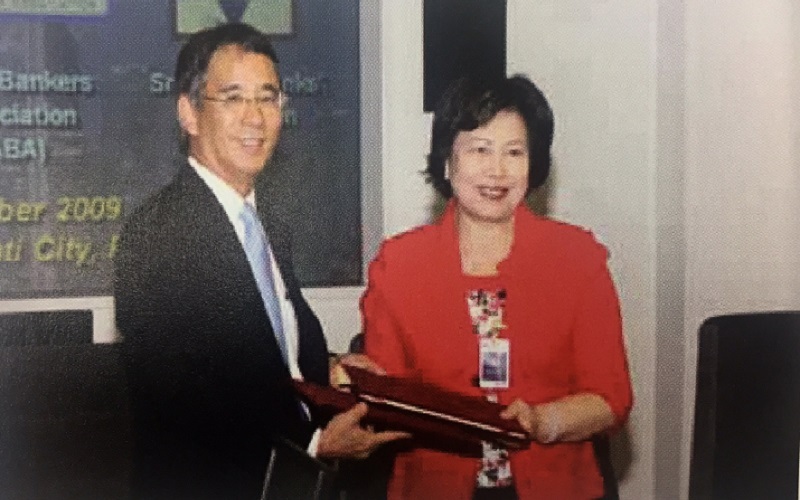 2009 Manila - ABA Chairperson Susan Chang signs MOU with Bankers Association of Philippines Chairman Aureliio Montinola III. 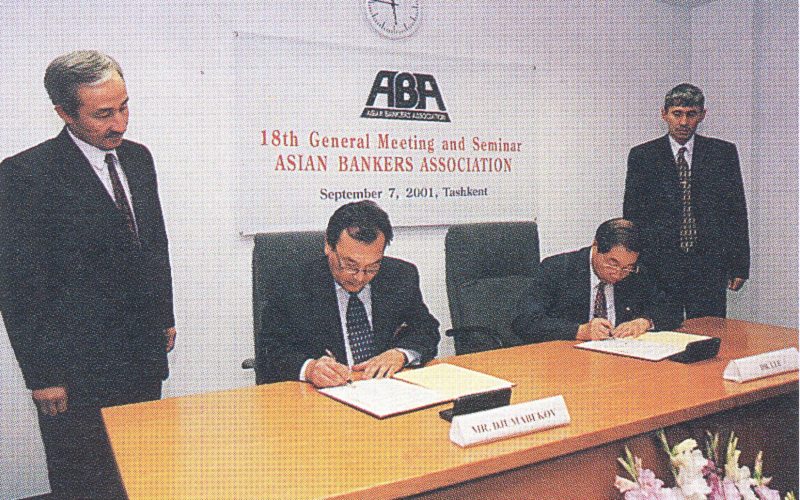 2008 Bangkok - ABA Chairman McKinney Tsai signs MOU with Thai Bankers Association President Apisak Tantivorawong. 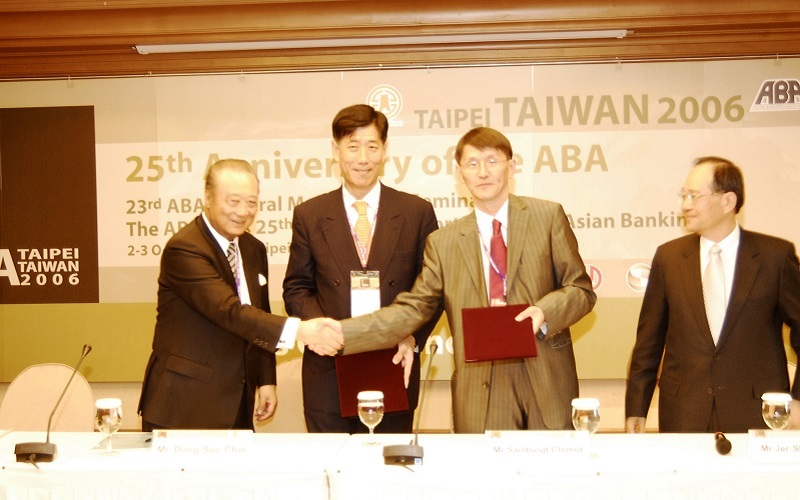 2006 Taipei - ABA Chairman Dong-Soo Choi signs MOU with Mongolian Bankers Association President Saintsogt Chimid. 2001 Tashkent - ABA Chairman Dr. Yung-San Lee signs MOU with Uzbekistan Banking Association General Director Mr. Kudaybergen Djumabekov. 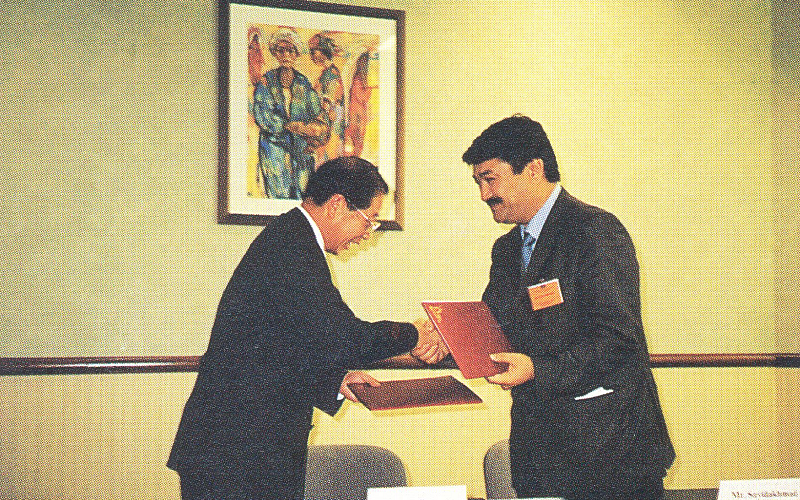 2001 Tashkent - ABA Chairman Dr. Yung-San Lee signs MOU with Asaka Bank Chairman Rakhimov Saidakhmad Borievich. 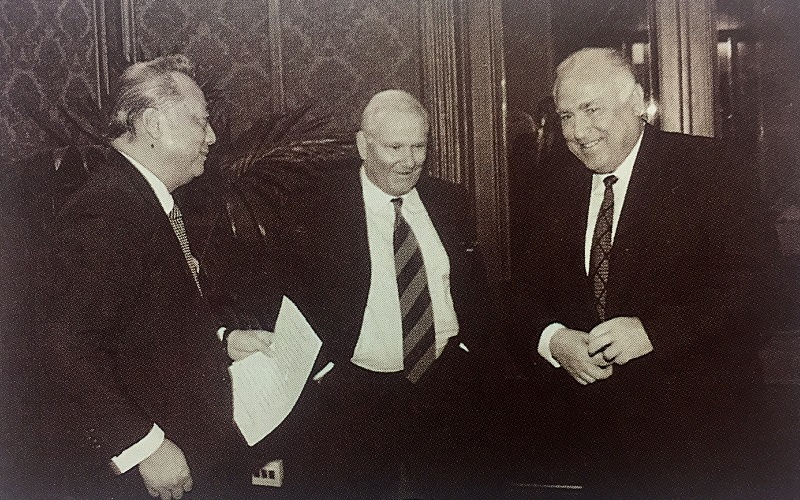 1997 Moscow - ABA Chairman Emeritus Dr. Jeffrey Koo signed MOU with the President of the Association of Russian Banks Sergei Egorov. Russian Prime Minister Victor Chernomyrdin (right) joined discussions.